Sharing my progress, process, interests and inspirations. I am happy to be animating again. My new space is working well for me but, seriously, what was I thinking with all of those dolls dancing!!!! The suffering is all worth it though. 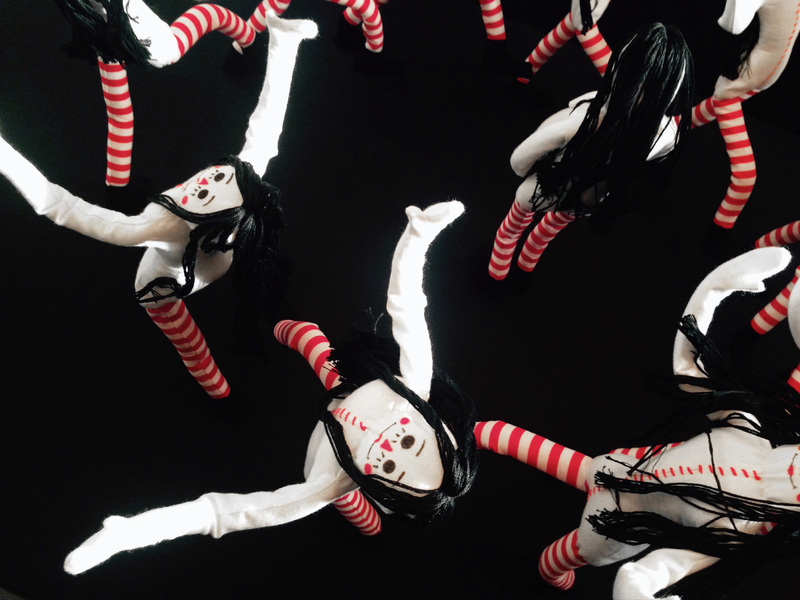 The dolls dance with wild abandon. The dreams live! I’m mostly winning the battle with gravity, but the puppets fling themselves to the floor just as I am pressing the shoot frame button with unfortunate regularity. 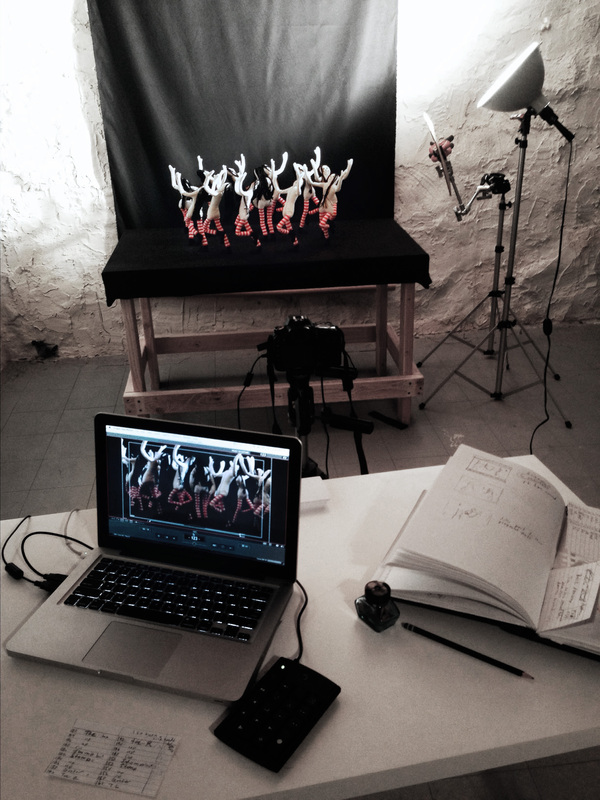 My production time for these dancing scenes averages two hours per second. Yesterday, at the four second mark I was so exhausted I decided to risk shutting down for the night. When I started back up this morning I was glad to see that my light level was the same and the camera hadn’t sagged. It is always risky to shut down in the middle of a shot because things can shift too much to adjust for, but if I am going to make progress with this production amidst all of my other responsibilities I’ll have to do it once in a while. If you’d like to participate in a monthly Google Hangout where you can talk with me about animation, ask anything you may be wondering about Seed in the Sand and get advice on your own projects, support my film production by becoming a patron on Patreon at the $5 level. Hangouts are scheduled for first Sundays at noon Pacific Time, 2 pm Central. This is exciting! As for dolls and gravity, you know they have their own minds and will do what they want, despite our best efforts. I admire your perseverance! Gosh, I just watched the clip. Looks great! I really loved everything about blood tea and red string. This looks really interesting and super well-done. I can’t wait (but will) until the film is finished. I know it will take a while, but, I am very excited!